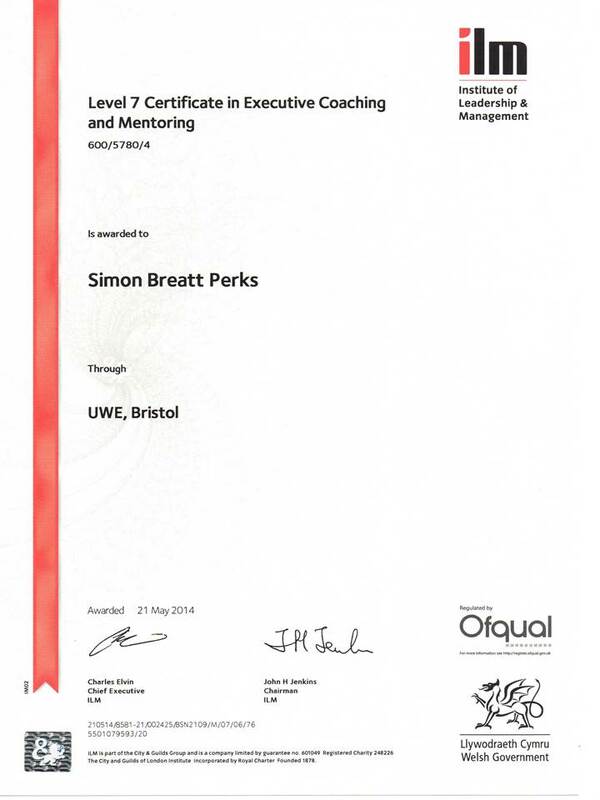 I’m delighted to have been awarded the Institute of Leadership and Management’s postgraduate-level Certificate in Executive Coaching and Mentoring. The result of several months of study and coaching practice, this qualification has helped me to develop valuable skills, which I look forward to using in my consulting practice. A big thank you to all who helped me along the way, including those hardy souls who graciously allowed me to provide them with coaching support in achieving their own professional and career goals. This entry was posted in News and tagged Coaching, News by Simon Perks. Bookmark the permalink.